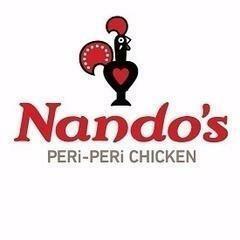 Grillers take full ownership for the daily preparation and execution of food items in their station and provide an exceptional Nando’s experience by efficiently and consistently producing the highest quality chicken and other menu items. Grillers follow recipes, procedures and presentation standards consistently to ensure the best possible product is produced and executed. Grillers are team players that assist one another and work with the service team to exceed our customers’ expectations. <br><br>Essential Functions <br>• Ensures quality by properly rotating perishable and non-perishable products. <br>• Helps maintain food cost by limiting kitchen waste and through the efficient use of all products. <br>• Sets up station according to restaurant guidelines. <br>• Prepares all food items consistently and as directed in a sanitary and timely manner. <br>• Consistently follows recipes, portion controls, and presentation specifications as set by the restaurant. <br>• Performs regular line checks. <br>• Observes and tests food to determine if cooked properly. <br><br><br>Requirements <br>• Ability to execute professional cooking and service standards. Proficient knife handling skills. <br>• Understanding and knowledge of safety, sanitation and food handling procedures. <br>• Basic English language and professional communication skills are required. <br>• Ability to physically handle knives and other sharp, heavy or potentially dangerous items. <br>• Ability to perform cutting skills on work surfaces, topped with cutting boards, 3 to 4 feet in height. <br>• Proper usage and handling of various kitchen machinery to include slicers, ovens, stoves, grinders, mixers, and other kitchen related equipment. Nando's West Loop is posting their hospitality jobs on Harri.